Full disclosure: That’s a little bit like what the wonderful Lisa Black’s agent worried about when Lisa described her new book. When her agent read it—whoa. She changed her mind. 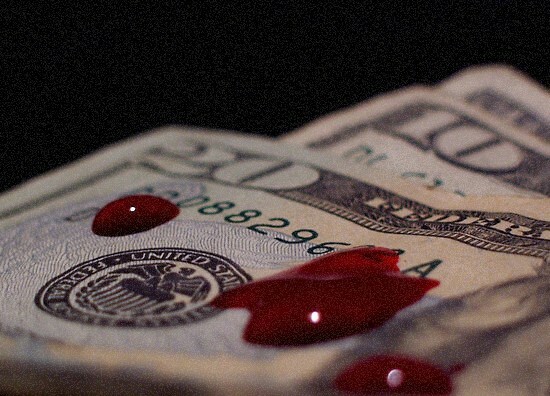 My new book, Perish, opens with a crime scene both lavish and gruesome. In a luxurious mansion on the outskirts of Cleveland, a woman’s body lies gutted in a pool of blood on the marble floor—Joanna Moorehouse, founder of Sterling Financial. Its offices seethe with potential suspects, every employee hellbent on making a killing. When another officer uncovers disturbing evidence in a series of unrelated murders, the investigation takes a surprising detour. But how did the beautiful Joanna accumulate such wealth in only a few short years? And why am I, someone whose eyes would glaze over if you mentioned the word ‘business’ come to write such a book? Well, because on several lists over the years, Cleveland, Ohio and Cape Coral, Florida, led the country in foreclosures. They are also the only two places I have ever lived. I assure you this is purely coincidental…but it did prompt a sudden interest in shady mortgages. If you’re a relatively honest person and/or not versed in white collar crime, you may wonder how someone made money by buying a house and then abandoning it. Short answer: you can’t. Not unless you have some help. 1. A buyer, who can produce documents showing fictitiously inflated income and bank accounts. In fact, an entire fake identity would be helpful. 2. An appraiser, who can inflate the value of the house out of proportion so that a large bank loan seems reasonable. Sometimes an innocent but cooperative seller can be talked into inflating the price after the buyer convinces them they need the extra loan money to improve the property. If the seller isn’t quite so naïve, the buyer can simply alter the settlement statement before they send it to the bank. 3. It helps to have a conspiratorial or at least cooperative title company that won’t ask too many questions or wonder why this same buyer or holding company has been purchasing so many properties. 4. It also helps to have a mortgage broker on board who can funnel all these fraudulent documents without appearing to profit from any of them, other than normal fees. In reality, they’re a partner and taking a cut. The shady buyer contracts with a seller, gets a loan from the bank for far, far more than is needed to purchase the home, pays off the seller and splits the rest of the loan money among the co-conspirators. They stop making loan payments and walk away, either declaring bankruptcy or simply disappearing. And that’s how you make money by buying houses you don’t want. Of course, eventually the bank notices that they’re getting stuck with a bunch of foreclosed properties when at the same time they often were dealing with their own fallout from playing too fast and too loose for too long. Or an honest employee or loan officer or title company or seller figures out that one or two documents aren’t adding up. Pull one thread, and things start to unravel, which is why many of these fraudsters are only now getting out of jail. To be clear, frauds like these didn’t cause the housing crisis ten years ago—that was caused largely by skyrocketing property values and indiscriminate lending—but they exacerbated an already difficult situation. In Cape Coral one of our police officers, the son of our well-liked chief, went to jail for just such a conspiracy. The total funds involved totaled over four million dollars. Uri Gofman bought more than 450 homes, pretended that improvements had been made, refinanced based on the new inflated value and resold the homes to people who were not qualified. He was one who had a mortgage broker and a title company on the payroll. He left jail in early 2017. His broker is still inside. Kimberly Wilson was a broker who found the straw buyers herself and worked with her husband and an appraiser to inflate the values for loans. She made a deal to testify against the appraiser, Lavon Ruderson, to get 18 months while Ruderson got five years. Stephen Holman, a loan officer, worked with his brother to sell properties with no down payment and other assorted shadiness. He got twelve years. Thomas France, once one of Ohio’s most successful, threw that away on a series of frauds as outlined above which netted him a 10 year prison sentence. For using the same technique, Fred Loewinger, Clarissa Foster, and Corritha Wells each served 6 years. Blaine Murphy used fake names to buy 96 homes, pretending to fix them up before selling them to other buyers for a profit. It was like flipping, but without the flipping part, and the fake names kept irate buyers and banks from coming after him—at least for a while. He got two years. Anthony Jerdine and Susan Alt, separately, went for scheme quality over quantity. He bought a home for $700K, faked an appraisal and resold it the same day for two million. Jerdine got eight years in the federal pen. Susan Alt served six years. When I sent this book to my agent, she worried that it might seem dated. She asked if predatory lending was really such a problem any more—reforms were supposed to have closed loopholes and opportunities for such shenanigans. But I see commercials for quick and easy mortgages, I get phone calls all the time offering business loans that I never asked for, and I worry. We learned a lesson, but did we learn it well enough? HANK: And don't you get those things in the mail that look like checks? Wonder how many people cash those? Have you ever wondered about real estate schemes--or had any in your life? We’ve sold houses twice [with no difficulty except for getting the realtor to actually sell the house in Alabama], and bought a house with no problem. So, no real issues with real estate folks. On the other hand, if we were talking about builders . . . .
As a fellow SW Floridian--it ain't over yet, at least not down here. Getting rid of these schemes seems to be like playing whack a mole. When we sold our South Florida house in 2005 we sold it at bubble prices (totally aboveboard on our part). Turned out we sold it to a "flipper" who re-sold it at yet a higher profit and within the year former neighbors were telling me the house was in foreclosure. When the bubble burst, both the flipper and his buyer ended up in jail. Seems they bought/sold/foreclosed multiple properties throughout south Florida. 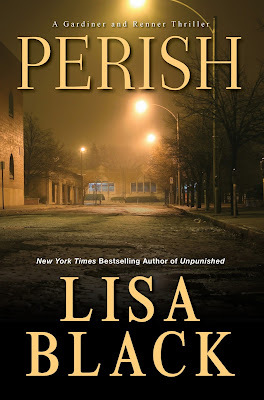 Looking forward to reading Perish. Kait— that’s kind of unsettling, isn’t it? How do you feel about that? It was unsettling and I felt as if I betrayed the house. The practice was rampant at the time. We asked the buyer if he was buying to flip. Wouldn’t have sold to him if he had admitted it. He even made a big show of bringing his fiancée over. Worse, he tore out all the charming Midcentury modern features and “modernized” them. Ugh! A skilled crook can always make a few bucks in real estate. I've never made much myself, but then I'm not a crook. Terrific book! The news is still full of the Wells Fargo criminal scheme, where employees opened bank accounts and credit cards for individuals without their knowledge, so no, I don't think predatory lending is gone. Especially as the housing market is once again heating up, with homes in certain parts of the country gaining value fast. That sounds like prime pickings for the sort of con men Lisa describes. I actually LOVE books about white collar crime, so PERISH sounds right up my alley. Yes, I do too. But as an author, sometimes you have to fight the battle of how… Inside they are, you know? Computers and phones and emails and files. I loved The Big Short, so this sounds up my alley, too. No, predatory lending sadly does not seem dated. I loved "The Big Short" and found it did a great job of being entertaining AND highlighting a real problem. I'm afraid predatory lending (including how ridiculously easy it is to get a credit card) will never be dated. I know exactly what you mean. I was in college and was all "Yay, I can buy stuff!" Then the bill arrived. Sheesh. Yes, The Big Short was amazing, highly highly recommended—and really a master class in making a difficult and complicated subject fascinating. And I devour the business pages in the newspaper… Do you? 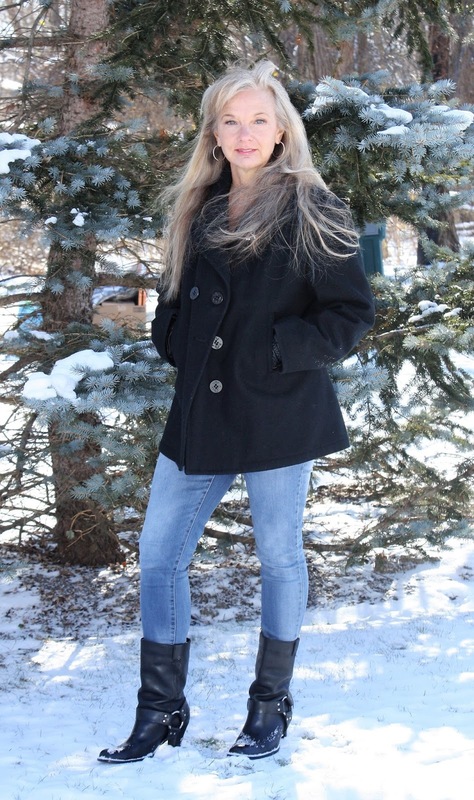 Lisa, would love to hear a little more about the new book! That worries me too, when I see articles about the goings-on in Washington and read that so-and-so wants to 'scale back' the banking restrictions put in place after the crisis...WHAT? Do you even hear what you're saying? Congrats on the book, Lisa! Can you tell us a bit more about the research you had to do? Did it make sense to you right away or was there a steep learning curve? Do you know people who've been personally impacted by this practice? It is frightening how many greedy, amoral people are out there. As long as they come out ahead they don't care who is hurt. Maybe the judges need to determine prison sentences based on the number of victims. I don't really know anyone personally crushed by predatory lending, though I saw the wave of foreclosures every day in both Cape Coral and Cleveland. Did you worry, when you wrote the book, about making sure all your financial facts were correct? I remember being terrified to write about mortgage lending--I was always checking and re-checking with real bankers about whether my scam would have/could have worked. Lisa, I have a feeling with all of the deregulation happening that you're actually on point with this book. I am fascinated by the unchecked greed many in the financial world seem to have - so of course, I am really looking forward to reading PERISH. Congrats on your release! Lisa, I think PERISH sounds fabulous! I worked in banking for more than a decade, so I understand the issues pretty well. But it's still hard for me to understand how the checks and balances got so eroded as to make these issues possible. The closest thing I have to a personal story is that during the housing bubble, I had a guy on the phone trying to sell me on refinancing to a variable rate mortgage. I said absolutely no way, and when he asked why, I told him I was old enough to remember mortgage rates around 17%. He said to me, "You don't actually believe rates will ever go into the double digits again, do you?" I just sat there agape, marveling at the hubris and cluelessness. Finally I said, "Yes. I do. Or at least, I think it is well enough within the realm of possibility that it is a chance I will never take." Needless to say, we weren't on the phone long after that. Lisa, the book sounds fascinating!! I haven't seen The Big Short but it and Perish are going on my list. Can you tell us a little more about the book? The book begins with the brutal murder in a very expensive home, where the killer seems to have gotten in and floated back out without leaving any trail. Maggie and Jack get a crash course in financing when they investigate the woman's cutthroat employees, disgruntled customers and frustrated regulators. BRAVO to you! Such an important topic. Lisa, I MUST read this book! For most of my working life I've worked in real estate-areas. I have personal knowledge of some of the situations you mentioned. One of the nicest people I ever met was convicted of one of the practices you mentioned, and one of the sleaziest people I ever met pretty much said "they'll never be able to prove I did it." One of my relatives worked for a developer that she claimed was involved in a type of mortgage fraud. She even left her job because she said she was convinced he was a crook. Since she tended to be dramatic I didn't believe her, and I said that what she described would have had to involve more than one person. She said she was pretty sure she knew who the other person was. To make a long story short, her boss --and the person that she said was his accomplice--were arrested, convicted, sent to prison. Wow! I'm glad they were convicted! Score one for the good guys. They say a sucker is born every minute, and I fear this is true enough that the con artists will always be waiting in the wings with their get rich quick schemes. Even if the scheme is dripping with appropriate legal terminology and backed by US regulations, it doesn't mean it's not a con. So, to answer your question, no we have not learned our lesson.